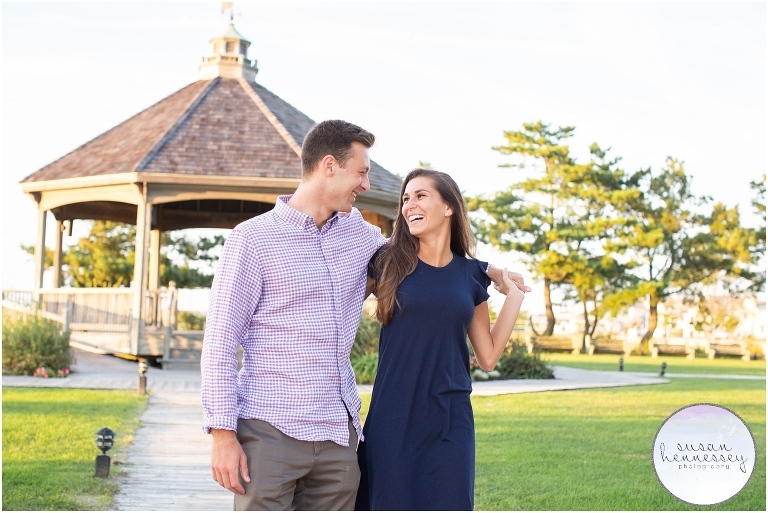 In September, I photographed Kelly and Mark’s Ortley Beach Engagement Session. We had a beautiful Fall day and these high school sweethearts took me to the place most meaningful to them! Kelly and Mark first met down the shore at an arcade called Barnacle Bills when they were 14 years old. At the arcade, they chatted for a bit and ended up meeting up on the beach the next day. Soon after they met, they developed a close friend group at the shore so they spent most of their weekends together. After two short summers of knowing one other, their relationship began. They attended two different high schools, but managed a long distance relationship for their last two years of high school. Yes, Kelly says that their mom’s drove them to their dates before they could drive! 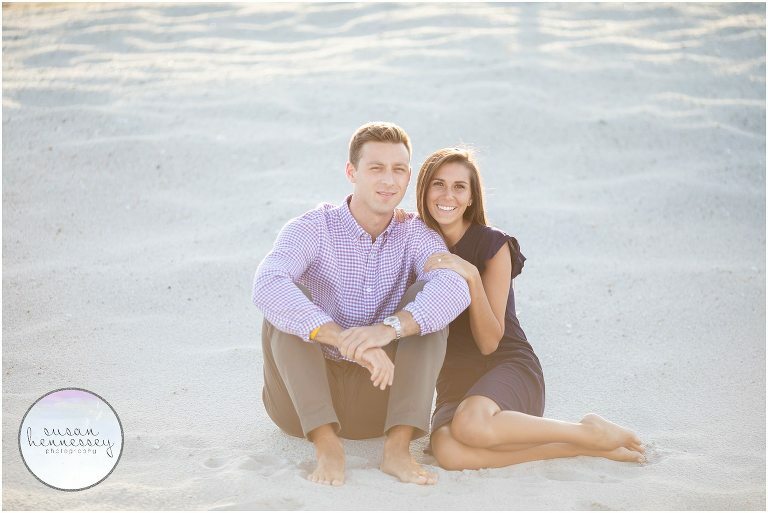 When Kelly and Mark are not wedding planning, you are likely to find them at the beach. They love spending time outdoors and they enjoy rock climbing, skiing, hiking and bike riding. Their relationship has always been long distance so they enjoy getting Dunkin’ Donuts and taking long car rides together. They will do anything as long as they’re together. 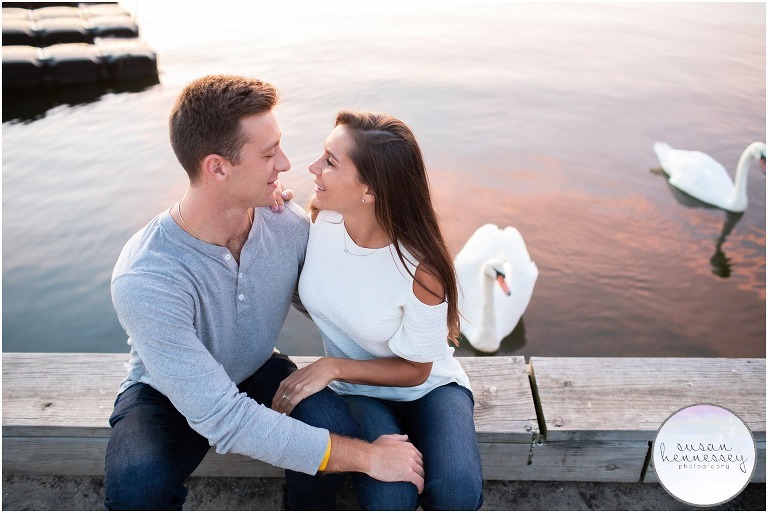 Kelly and Mark are tying the knot in July of next year at The Mill Lakeside Manor, they are hoping to create a romantic, timeless, and elegant wedding. Once married, they hope to adopt a Golden Doodle and to travel over the next few years, they hope to road trip from New Jersey to California and see the States. Then they would like to see Europe and Australia. Any advice for future bride’s planning? Enjoy every step of the wedding planning process because it goes by in the blink of an eye! And finally, what are you most looking forward to about your wedding day? Kelly: The very moment Mark and I officially become husband and wife. Mark: The unconditional happiness that comes with a wedding day. 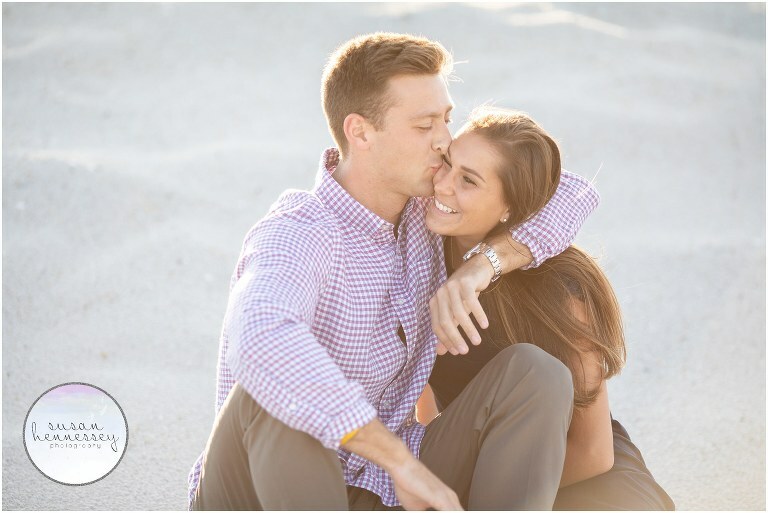 Did you love this Ortley Beach Engagement session? Click here to fill out my contact form to get in touch!